I made card by die cutting the leaves in white and using Distress Inks to shade. Then I used the Papertrey Ink Make It Monday #184: Dip Die Cuts technique taught by Danielle Flanders. I added gold dip to all my die cuts. 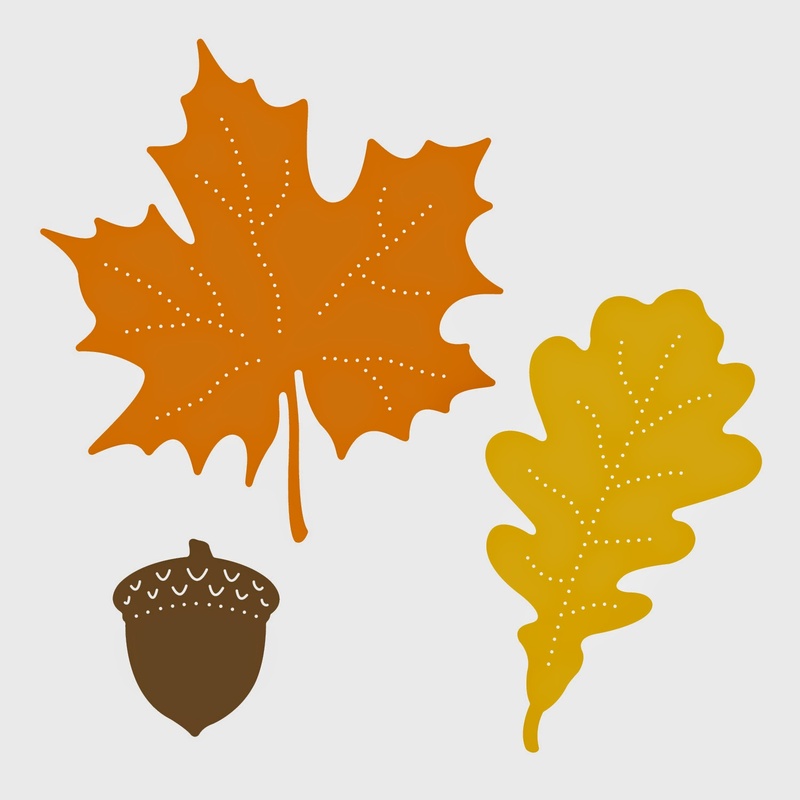 Dimension was added with foam tape to the Maple leaf and the acorn. These were added to a white woodgrain embossed card base. Really beautiful, Tracey.. wow do I love that touch of gold! Beautiful, Tracey, and I love the woodgrain background! Love this and the touch of gold adds so much. Doesn't that gold just give the dies a 'pop'? Love how you arranged on bright white wood. Beautiful card! The leaves are so cute with the woodgrain background! Gorgeous card, Tracey! I really love the effect of the gold edges on these die cuts! So pretty with the woodgrain background, too! The leaves are beautiful with the distress inks Tracey...very elegant with the gold tips! What a beautiful card Tracey! The gold on the edge makes it so elegant! Gorgeous leaves against the wood grain background! This is so pretty. Love that you used 2 different and fancy techniques for your leaves. I never got to making anything gold dipped last week, but at least I watched the video. 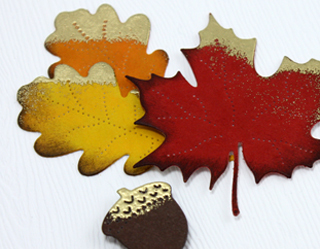 Ooh la la, but your gold-dipped leaves are stunning! A beautiful card...absolutely beautiful! That gold dipping is such a cool touch! It takes your already gorgeous card to a whole new level!